Public utility companies only locate and mark out lines and services they own. We verify the public utility mark outs and expand the mark outs to include private or owner added underground utilities and structures. Our technicians mark out underground anomalies to be avoided and can be on site to supervise the location of drilling or digging operations. Remodeling or expanding existing buildings can result in a need to scan walls and floors for existing rebar and tension cables, fiber optic or electrical cable, plumbing and other encased items. 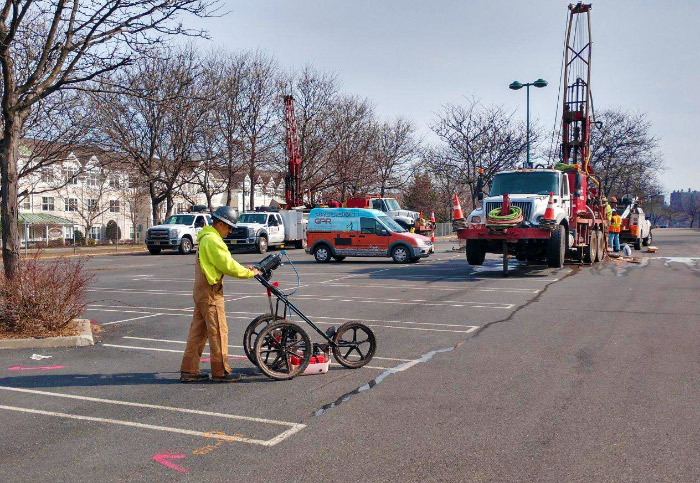 Ground penetrating radar can be a faster, cheaper way of determining critical existing utility locations that are to be avoided rather than opening up walls and floors or by using X-ray services. GPR grids can be marked on one side of a wall or floor, minimizing inconvenience. © Copyright Precision GPR Services, LLC.